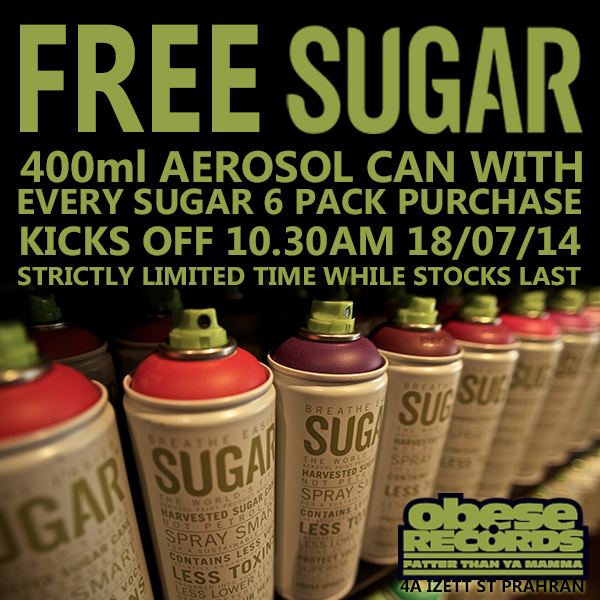 Buy six SUGAR 400ml aerosol cans and get one free! Strictly limited offer, until stock lasts. Kicks off Friday 18/7/14 only at our Prahran store.